Although the incorporation of Chickasaw was conceived in 1946, its name and history go back more than 200 years. In 1733, a large tract of land containing what is now Chickasaw was deeded by Bienville to his friend D’Arraguette. Complete records of all early changes in ownership are not readily available, but the names of Lorending (Laurendine), Chastang and Alvarez are among those mentioned. Native Americans referred to the creek running through the area as Chickasha Bogue, and the name stuck, later Anglicized to Chickasaw. It had been a cross-roads for bands of mostly peaceful Indians (although the Chickasaws may have been rather warlike) who seasonally migrated to other areas. It was settled by farmers, and later became a trading post, with settlements springing up. Apalache Indians were said to be among the earliest settlers of the area; they were converted to Christianity and intermingled with the French and Choctaws, as well as other tribes. Legend tells us that there was also a lawless element engaged in piracy and robbery who used the back coves and bayous along the Chickasaw Bogue as hiding places. The creek itself was crossed only by ferrys, until in the early 1900’s when the first wooden bridge was built. Apparently, the American Revolution and, later, the Civil War made little or no impact on the area. Early in the century, a sizeable development grew in what is now Whistler, centered around railroad shops. In 1910, the Thompson brothers subdivided North Mobile, but there was very little development. In the Chickasaw area there were farms and a mill which processed coconuts into oil and soap. It was later converted to manufacture furniture and wooden equipment, some used by the shipyard. As World War I loomed, the Tennessee Coal and Iron Co., a division of U. S. Steel out of Birmingham, saw the advantages of the area for shipbuilding, with its deep waterway, and quietly purchased a large area which included what is now Chickasaw. Three corporations – Chickasaw Shipbuilding and Car Co., Chickasaw Utilities Co., and Chickasaw Land Co., were formed with specific duties. By a tremendous effort, the cypress swamp adjacent to the creek was drained, with dikes built and huge pumps installed. At the same time an entire town was built – not just an ordinary “mill town”, but a planned community with attractive and well-built homes for the shipyard workers. There were stores, a health clinic, a large multi-purpose community center (the old Playhouse) on the site where Garden Lane Apartments now stand, and a school, which is still in use. The Utilities Co. built a water purification plant that was later taken over by the Prichard Water Works, and a sewer disposal plant which served the town until 1961. One of the old buildings, the ice house, was exceptionally well built. It later housed a rental office, and other uses, including an office and hospital operated by Dr. C.E. Lange, whose name still identifies the building. Some of the streets in the new town were actually just sidewalks, with alleys in the back for vehicular traffic. The “sidewalk streets” make it hard to give directions to strangers, but have some advantages, especially to families with small children. 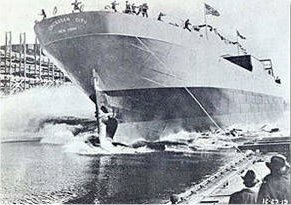 By the time operations at Chickasaw Shipbuilding and Car Co. were well under way, the Armistice was declared, but 14 concrete ships were built and launched before it was closed. Some of the occupants left for jobs elsewhere, and some of the houses were moved or demolished. Those who remained formed a close-knit community. Rent was reasonable, and essential services available. The old “Playhouse” deteriorated and was replaced by a frame building in the park on Grant Street, where it was in use until 1958. There were also tennis courts in the park, and at the south end of Yeend Ave., there was a golf course enjoyed not only by occupants of the Village but from other areas. The club house still stands at the end of Yeend, converted now to a residence. In April 1939, the Village and shipyard were acquired by a Mobile businessman, Ben May, who sold it in July 1940 to Gulf Shipbuilding Corp., a subsidiary of Waterman Steamship Corp. No details of the transaction are available. The shipbuilding area was renovated, the homes repaired and modernized, and streets paved. Large scale operation at the shipyard brought a vast migration of workers. Houses in Chickasaw Village were then rented only to those with shipyard connections, so many old time occupants were required to leave. Additional housing was provided by the Federal Government, including a project called Gulf Homes, as well as many temporary (and unsightly) housing structures and Navy barracks. 76 ships were built there, including cargo and naval vessels, but with the end of World War II the need diminished, and operations gradually closed down. Early in 1946, the entire village was purchased by Leedy Investment Co. for one million dollars. The houses were sold to individuals, with current occupants given first choice. Many of the prior tenants welcomed the opportunity to get back to Chickasaw. Advertisements giving notice of the sale quoted prices ranging from $1800 to $3000 in the East Village, and from $3250 to $5000 for those in West Village. Undeveloped lots were sold at prices from $300 to $1500. The advantages of becoming an incorporated town were investigated, and on Nov. 12, 1946, the townspeople voted to do so. Firefighting equipment, garbage collection equipment, and the disposal plant and parks were donated to the town by the former owners. A Mayor and five councilmen were elected, and offices established in one end of the Lange Building. With an operating budget of about $60,000, 14 employees served a population of about 2,400. Old timers remember when dues of $1.90 per month enabled first the Chickasaw Civic Association, and later the town, to provide services. Other funding for operations came from sales tax, business licenses, building permits, and police court. 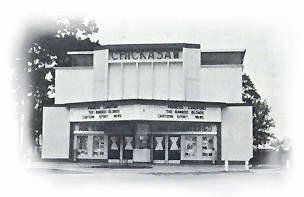 Until 1939, Chickasaw had no organized churches, although non-denominational meetings were held in the old Playhouse and in homes. The Methodist Church was the first to organize in 1939, and built on its present site in 1942. It was followed by the First baptist, and quickly many others came into being. With approximately 15 churches of various faiths now in existence in Chickasaw, the proportion of churches to population is a clear indication of the strength of faith of the people. Being composed of about 90% home owners at first, Chickasaw’s citizens had a deep sense of civic pride and interest in community affairs. For quite a few years, there was a large number of very active civic clubs. Currently, the Women’s Club of Chickasaw, Chickasaw Garden Club, Kiwanis Club, Mauvilla Garden Club, and Concerned Citizens of Chickasaw have ongoing community improvement programs. In addition, church-related groups, the Masonic Lodge and Order of the Eastern Star provide many services to individuals. As the population increased, Chickasaw officially became a city. Government became more complex as public services increased. State and Federal regulations multiplied, requiring careful attention. To assist the governing body in carrying out various activities, boards of citizens were appointed. The Utilities Board was formed in 1962 to allow extensive sewer improvements to be made. The Housing Authority was formed in 1962 with the task of first acquiring, then demolishing the old Gulf Homes project, and building a new, low-rent complex. 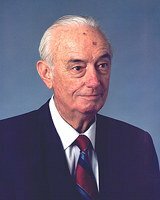 Other Boards with vital functions are the Library Board, organized in 1950; the Planning Commission formed in 1963, and the Board of Adjustment in 1973. Capable and dedicated citizens perform an important community service by participating on these Boards. City services expanded. A new City Hall was built in 1953 and expanded in 1965. In 1960, the Civic Center, swimming and wading pools, tennis courts and barbeque house were completed. The lighted ball park was built in 1965. The J. C. Davis, Jr. Auditorium was built in 1973. In 1995, the Johnny Legg Park was dedicated and equipped as a playground. There are several other parks, some with enough room for sports activities, and some just as attractive green areas.